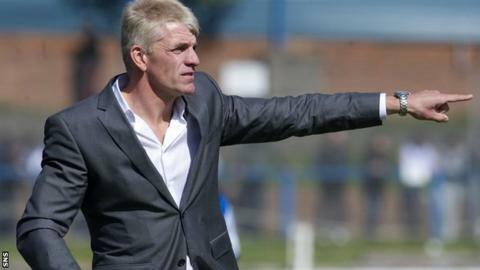 Elgin City have appointed Jim Weir as their new manager, following the departure of Barry Wilson. Weir, 45, most recently managed Brechin City from 2010-2012, having previously bossed Montrose and Arbroath. In his playing days he featured for Hamilton, Hearts and St Johnstone. Wilson quit as boss of League Two Elgin following a poor start to the campaign, admitting the Scottish Cup defeat to junior side Bo'ness United had played a major part in his decision. The Borough Briggs side are bottom of Scotland's third tier. Weir's first match in charge will be on 2 December against Arbroath.